The Complete Works of E. M. Bounds on Prayer: Experience the Wonders of God Through PrayerLearn the secrets of effective prayer for every need.E. M. Bounds truly followed the charge to pray without ceasing. It was as normal and essential to him as breathing. But though he was in prayer constantly, it never became a chore to him. 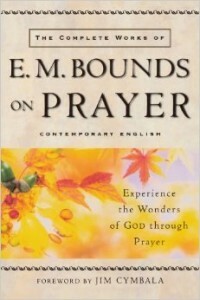 Throughout his life, whether he was ministering to troops during the Civil War or bringing God’s Word to his congregation, E. M. Bounds relished his time in conversation with God.Though only two of his books were published in his lifetime, The Complete Works of E. M. Bounds on Prayer combines all eight of Bounds’s classic treatments of prayer. The Watchman By Micheal Obi (National Coordinator & Executive Director of ASLPN)In the book of Matthew, Jesus tells a story about ten virgins. The virgins are waiting into the night for the coming bridegroom, whose feast they will attend. Five of them, described by Jesus as wise, bring extra oil for their lamps, while the other five, described as foolish, do not. As the night lengthens, all the virgins fall asleep. Suddenly, at midnight, a cry rings out, Behold, the bridegroom cometh; go ye out to meet him (Matt. 25:6). Besides being in the same group, the foolish and wise virgins share another similarity: they all fall asleep. In the context of the modern church, we could say that the forces of spiritual darkness and deception within our culture have lulled the church, believers and non-believers, to sleep. 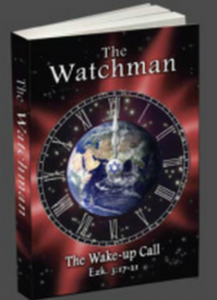 In the story, someone other than the virgins, someone who is awake, must make the wake-up call. The twofold purpose of this book is to prepare people to recognize the call when it comes and encourage them to be prepared by giving their hearts to Jesus now. 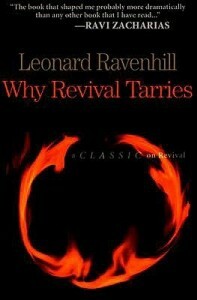 Leonard Ravenhill: Why Revival TarriesRavenhill’s call to revival is as timely now as it was when first published over 40 years ago. The message is fearless and often radical as Ravenhill expounds on the disparity between the New Testament church and the church of today. Born in Leeds, in Yorkshire, England, Ravenhill was educated at Cliff College in England was a student of church history, with a particular interest in Christian revival. His evangelistic meetings during the Second World War drew large crowds. Many converts devoted themselves to Christian ministry and foreign missions. 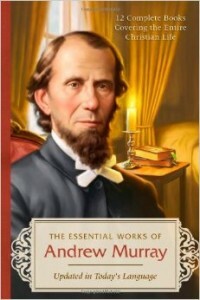 The Essential Works of Andrew Murray: 12 Complete Books Covering the Entire Christian LifeWant to know how to live the Christian life? Learn from one of the foremost authorities, Andrew Murray, in this single-volume library of twelve classic titles. A century ago, the South African theologian distinguished himself as one of the world s greatest authorities on the deeper Christian life. Now, his most powerful books have been compiled into a single paperback edition, perfect for personal study, pastoral research, or Christian school use. Including The Two Covenants, The New Life, The Full Blessing of Pentecost, Holy in Christ, Abide in Christ, The School of Obedience, The School of Prayer, The Ministry of Intercession, Pray without Ceasing, Absolute Surrender, Waiting on God, and Like Christ, this all-in-one resource has been lightly updated for ease of reading, featuring scripture from the New King James Version.